This post is courtesy of our contributor Deanna…I love the smell of Thanksgiving Day – the turkey, the stuffing, the apple and pumpkin pies baking in the oven…needless to say if Thanksgiving Day was a candle, I’d burn it. My favorite thing to eat on Thanksgiving is spinach dip. I stand by the bowl the entire day and once that’s gone I head for the pumpkin pie. 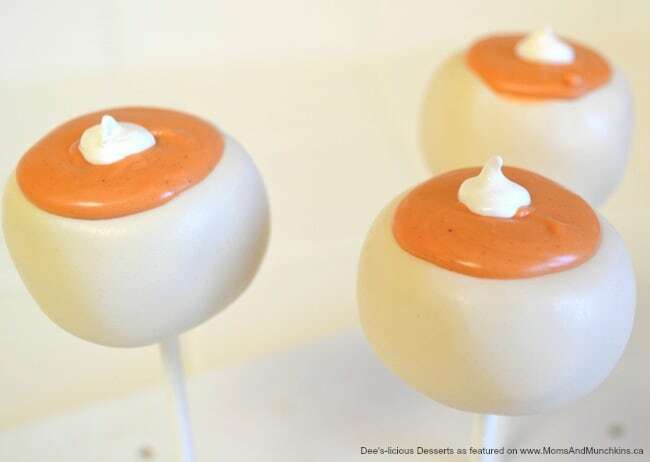 That’s where the inspiration for this cake pop came from – does anyone ever only eat one slice? 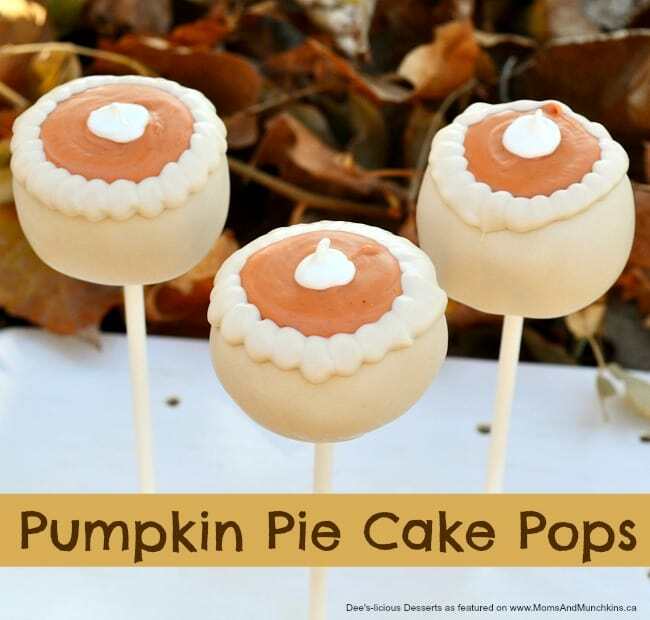 So, I bring you an entire pumpkin pie cake pop. These were super easy, and you can even use pumpkin flavored cake and chocolate! 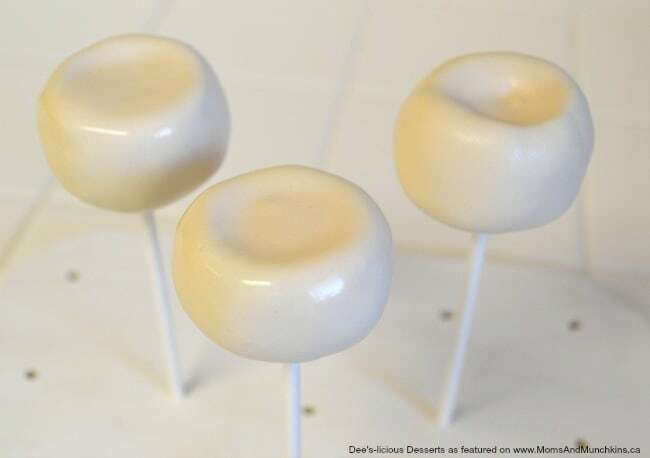 Shape your cake pop balls with an indentation in the center. I used the tip of a small fondant rolling pin. Don’t make it too thin though because you still need your cake pop stick to stay in. I used chocolate cake because it’s what I had on hand, but these would be even better with pumpkin or spice cake! 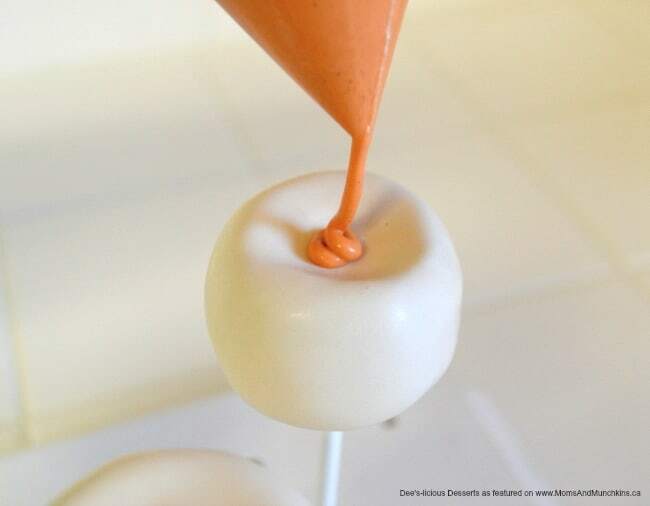 Dip your cake pop sticks into the tan chocolate and carefully insert them into the bottom of the the cake pop ball. 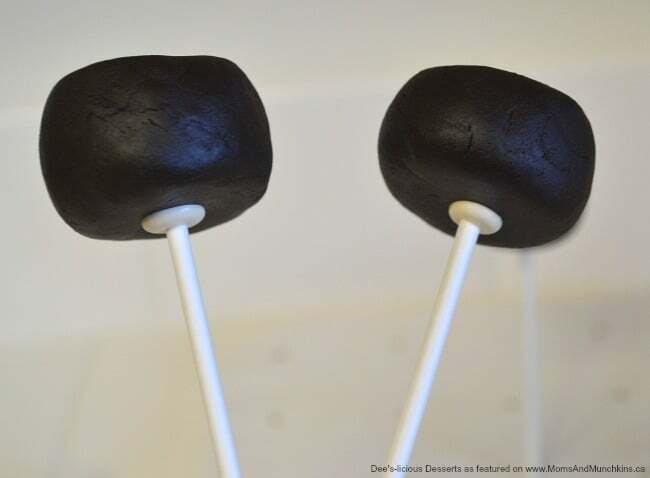 Once that chocolate hardens, dip the entire cake pop into the tan chocolate. Gently tap off the extra chocolate. 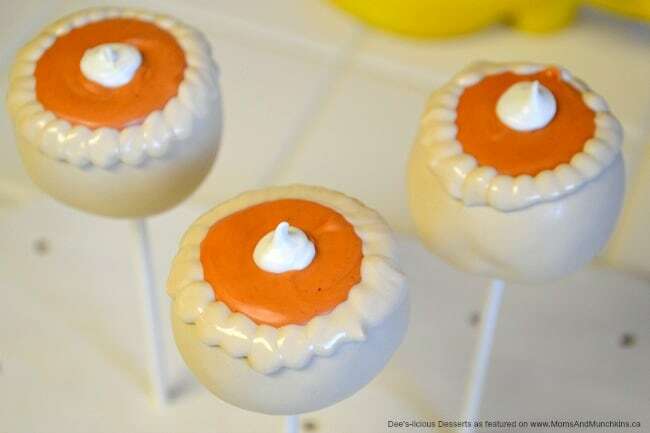 Stick those into your cake pop stand and let them harden completely. Snip off the end of your baggie the contains the orange chocolate. Pipe a fairly large amount of chocolate into the indentation and very gently tap the stick onto the counter so it smooths the bumps out of the chocolate. Let dry. 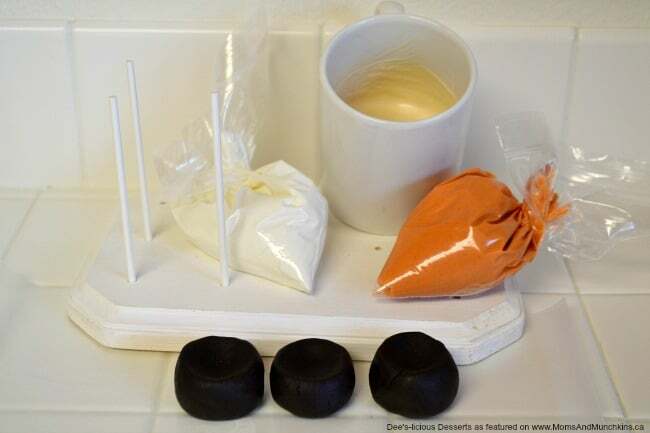 Snip off the end of the baggie containing the white chocolate and pipe a dollop in the center of the orange chocolate. Pour some tan chocolate into your extra baggie and snip off the end. Dollop the tan chocolate around the orange creating the crust. Note: This part is a little tricky because you want the chocolate to be almost cooled enough to harden. If it’s too warm it’ll smooth out and you won’t get the pretty crust like texture. 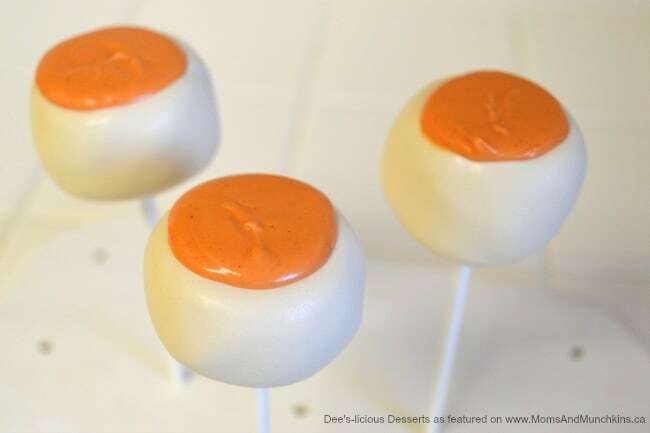 And there you have it, individual pumpkin pie cake pops! Thank you to Deanna for sharing this delicious & adorable tutorial with us. 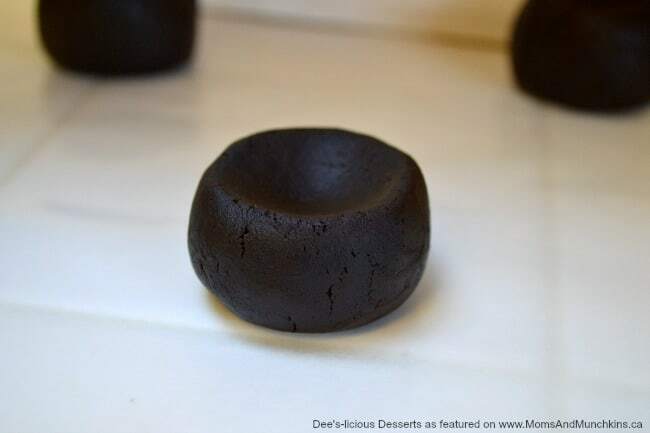 To see more of Deanna’s delicious creations, visit her Dee’s-licious Desserts page on Facebook. She makes and ships cake pops as well! Visit our Thanksgiving Fun page for even more ideas for Thanksgiving. Those look really yummy, and they’re so festive! So cute! You are amazing Deanna! I am loving these festive cake pops. Not only are they adorable…they look delicious too! Thanks for sharing! PINNED! These are so adorable! 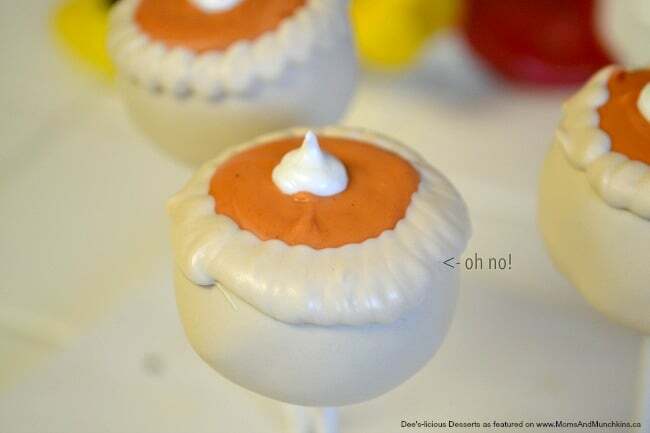 It would be great to have some small desserts for Thanksgiving. Oh, my goodness, how cute are these?? Really special for the Thanksgiving table. Thank you for sharing them with us at Treasure Box Tuesday- pinned! 🙂 Happy Friday! Okay now these are amazing. I love all things pumpkin pie. I’m visiting from the pin junkie.